School children in Karkata–our new village in Jharkhand–learn that washing one’s hands can even save your life. 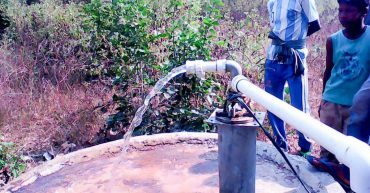 In Guptapada, Odisha, positive results for water supply when the villagers pooled their money to repair the local bore well. 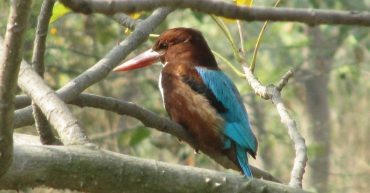 A conservation park in Delhi, one of India’s most highly polluted cities, where Mother Nature is thriving and teaching us about a return to unity. Helping two women to get tailoring training in Devgain, Jharkhand has lead to solid jobs for them. In Ratanpur, Bihar, people have nearly completed the construction of 28 toilets, keeping in mind the switch to toilet use is something that must be done with respect for local culture. 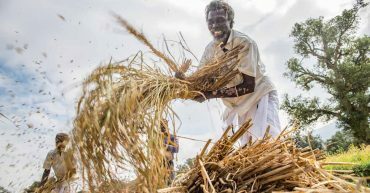 Photo Essay: Harvest of the first crop of organic rice continues in Sadivayal, Tamil Nadu.